Go to http://www.tokyodawn.net/tdr-slickeq-m/ and download demo version of SlickEQ M.
Create new project, add you track and use SlickEQ M in mastering chain. If you reopen the project all changes for SlickEQ M demo version will be lost (no persistence) so either forget this project and use the settings from scratch for next time or go “true analog experience” and use recall sheet like on hardware EQ. 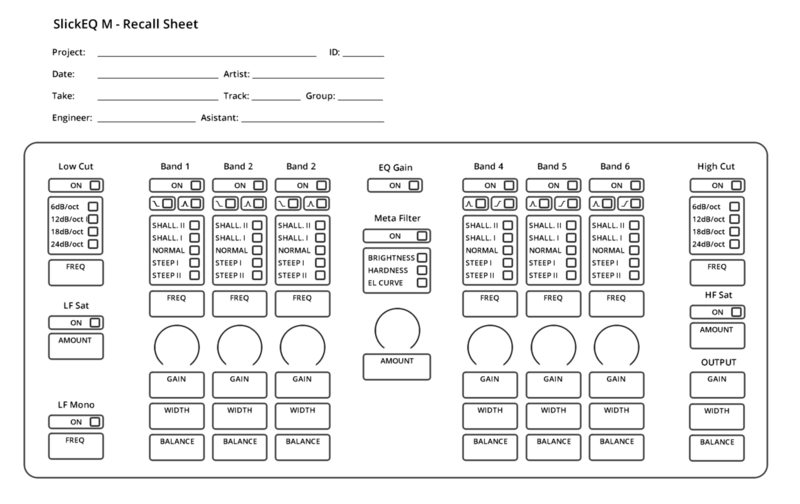 Here’s recall sheet for SlickEQ M. But you also can find it on the last page of the [manual]. 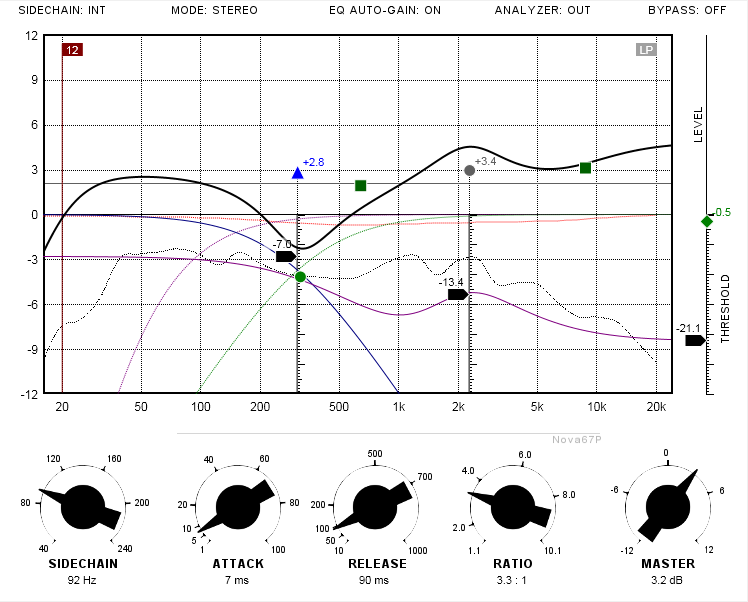 As I’m not professional mastering engineer it always pretty hard for me to get starting points for mastering EQ. Neither using common points (for example 6k for clarity and so on) nor searching the frequencies by boost and sweep work for me. But in SlickEQ M its “learn” ability gives pretty nice starting points! Press “Learn” in SlickEQ M.
Wait until “Learning” becomes “Action” and select “AutoEQ”. You may open the display to inspect the resulting curve. If the result is too much, play with “Range” control to reduce it a bit. If you dislike the result, try another parts of the song and press “Re-learn”. 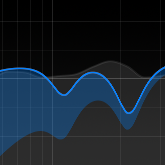 Now close the display to shift your focus on listening and use just “Gain” knobs as on simple graphical equalizer! 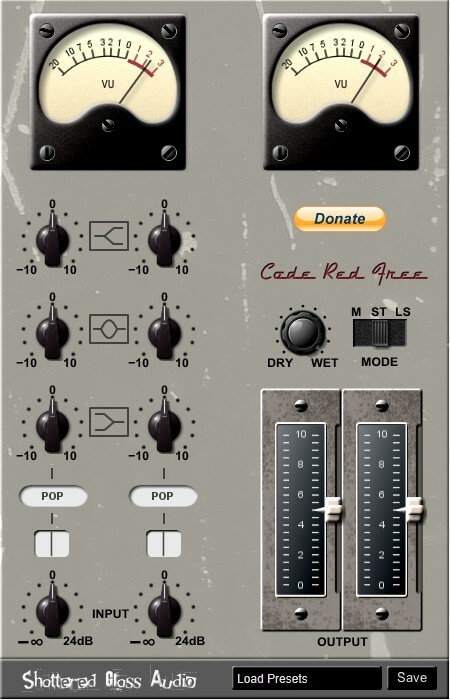 To reduce your freedom you may even turn on stepped mode and apply stepped gain changes! And finally add some of “analog” touch by randomizing “pan” controls for 0.1..0.3 dB in both sides. My favorite part is about Sticky mode. Enjoy! and so on. Check it out! PS. 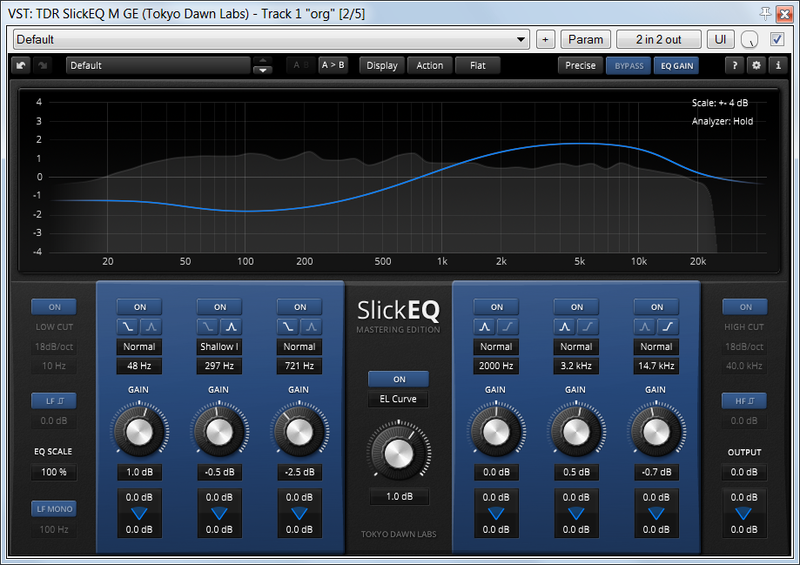 Also SlickEQ M (mastering edition) plugin is almost ready. 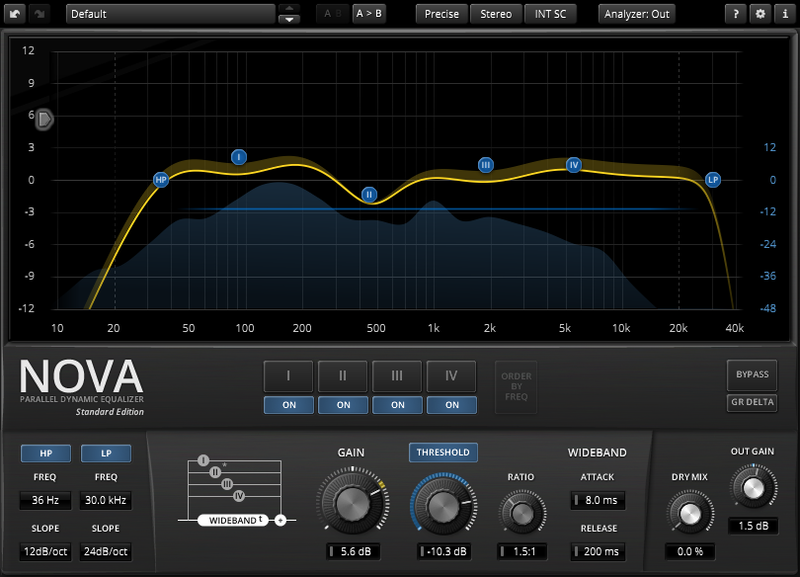 And also we’re preparing reissue of Limiter6 (with AAX support, variable modules order and few new features). Stay tuned! 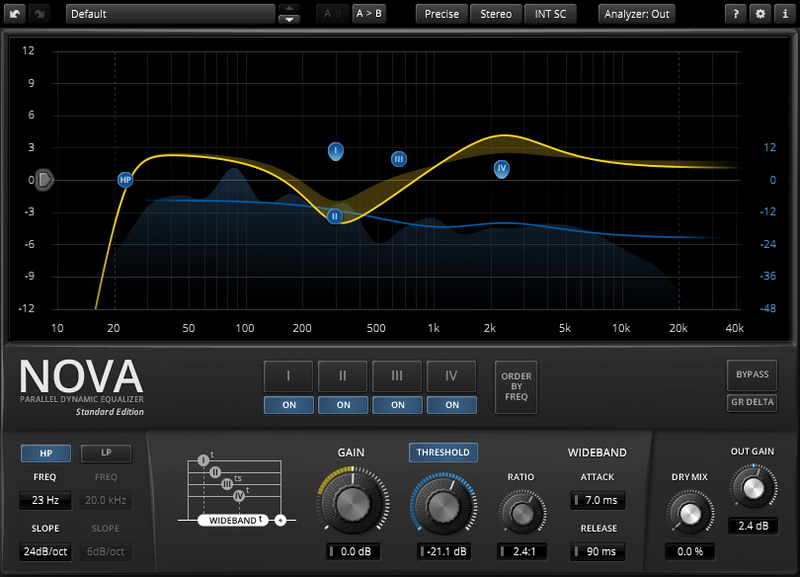 Do you remember Ultrasonic plugin?